Apparently, this is just the magical year in which all of Neil Patrick Harris' wildest dreams come true. 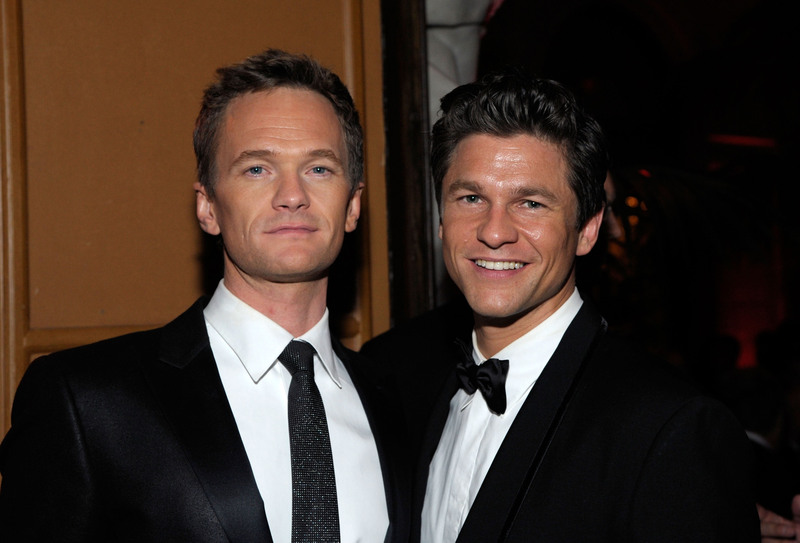 First, Harris married longtime partner David Burtka in a private ceremony that was small and sweet and featured magic tricks. Then, he published a Choose Your Own Adventure autobiography because nothing NPH does can ever be boring. He was asked to host the Oscars ceremony for the very first time, something that has always been on his bucket list. Now, shortly after revealing they were once interested in being on Murder House, it's been revealed that Harris and Burtka will be appearing in American Horror Story: Freak Show. But are they signing on to the anthology for good? According to TVLine, Burtka is appearing in the finale episode for a storyline with Jessica Lange while Harris will be in the final two episodes of the season as a "chameleon salesman". However, the great thing about AHS is that despite taking place in a completely different location or time period, featuring almost completely different characters every season, it often recycles actors and actresses. There are some — like Lange, like Emma Roberts, like Evan Peters — that have done multiple seasons of the show and portrayed numerous different people in those seasons. Roberts just joined AHS for the first time in Coven, the previous season of the anthology, and she's already back as psychic Maggie Esmerelda. Something about AHS must be wildly addicting. That's why I think there's a good change that Harris and Burtka could become permanent staples on the show. Harris has finished both How I Met Your Mother and his Broadway stint in Hedwig and the Angry Inch, which means his schedule is wide open for things like writing a book, like getting married, like hosting the Oscars, like guest starring on American Horror Story. And if Burtka has been a fan of the show since Murder House and was interested in appearing on it, then there's no way a single episode will be enough for him. We don't know where the next season of AHS is going to take us or even when. We definitely don't know which actors are going to sign on to do another season either. However, by joining the end of Freak Show, Harris and Burtka are officially submitting their names into the pool of potential AHS actors who could become veterans. They've locked down guest roles, but next season could be their chance to try starring roles out for size. Or, if that's too big a commitment when they have the twins to take care of, they could always become reoccuring guest stars. The important thing is that I get to see lots of Harris and Burtka on my TV screen, okay?